We're pretty excited about our first CMJ showcase tonight (7-10pm at The Living Room; stop by or listen live on FUV), but anything called a "music marathon" means there are a LOT of other shows going on too. 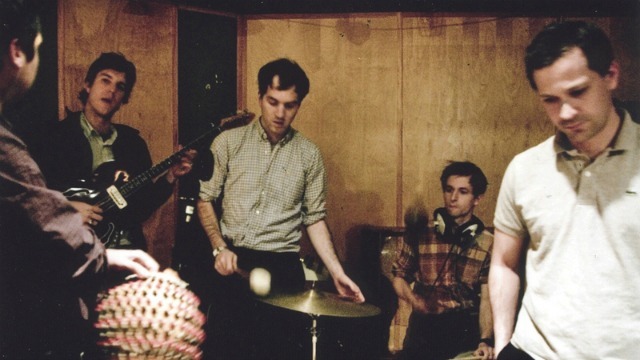 One is The Walkmen's CMJ set at Terminal 5 on Thursday, so on today's Take Five, we offer up a little flashback to the band's latest visit to Studio A to hang out with Eric Holland. Other good news: The Walkmen have two new songs to check out—either as freebie vinyl at Terminal 5 (if you get there early), non-freebie vinyl set for release in November, or an online listen now.